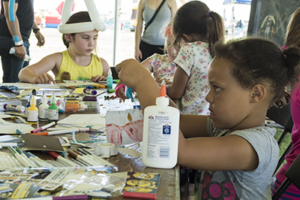 Free fun runs from 10 a.m. until 5 p.m.
“The Pit” includes a large range of activities for ages 2 through 18. 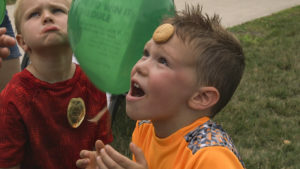 Activities open from 10 a.m. until 5 p.m. 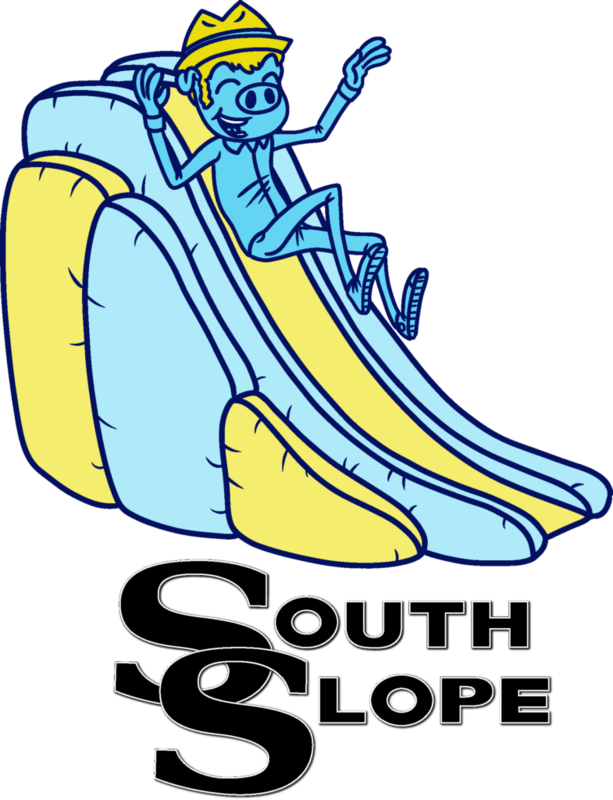 Thanks to South Slope Cooperative Communications, all activities are free. Please note that the petting zone, pony rides and Minute to Win It Games only run for limited hours. Grace Community Church also kindly provides a Diaper Depot, where parents and babies can take a break in the shade, make a quick change, or grab some necessary supplies they might have forgotten at home. It wouldn't be North Liberty Blues & BBQ with inflatables! 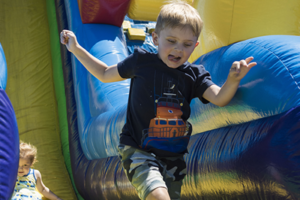 Seven inflatable rides and games will be in the park to jump in from 10 a.m. to 5 p.m. We'll have several units for toddlers, a 40 ft obstacle course, 20 ft high slide, and a few units for teens and adults to join the fun, too! We excited to welcome Pony Go Round to Blues & BBQ for the first time. 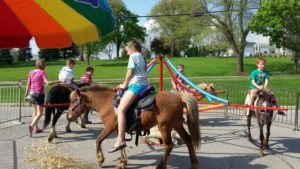 They will be have six ponies at the park to give rides to children 12 years and younger between 12-4 p.m. Select a fun design to be applied to you face, arm, ankle, or shoulder! To make sure every child can participate, we ask that parents help limit their children to one design each. 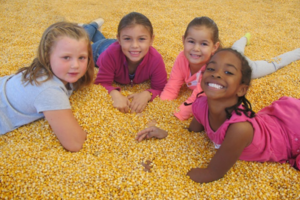 Free-play fun in South Slope Cooperative Communications cornbox. While you're there, register to win a prize! 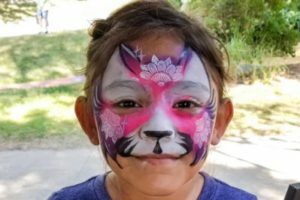 Only from 10 a.m. to 2 p.m., Miller Petting Zoo will be onsite. 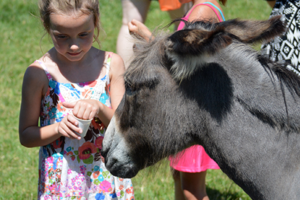 They'll have a mini donkey, baby hinny, mini horse, small zebu, goats, sheep and a llama. Feed will be available for purchase for $0.50/cup. 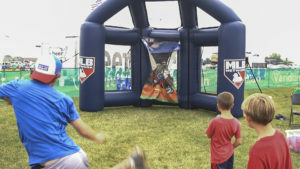 Provided by South Slope Cooperative Communications, put your pitching skills to the test at the MLB Strike Zone! Each participant will get three pitches. If at least one throw makes it through the strike zone hole, you'll be awarded a small prize. 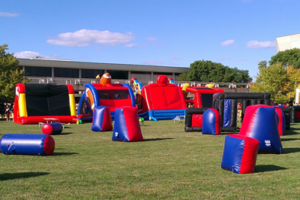 Grab 10-12 of your friends (ages 8 and up) and play a game of laser tag in Centennial Park! Navigate the playing field wearing programmed headbands as you battle your opponent. 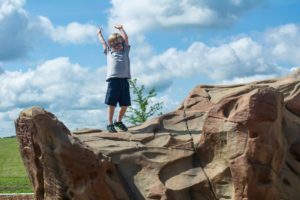 Climb a dozen rock structures at Centennial Park's newest playground. 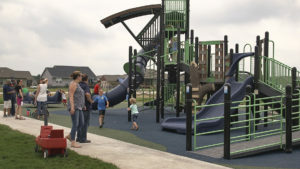 Explore the park's new permanent playground structure.